The foundation of multi intelligence, social skills, emotional quotient, and physical coordination is significantly developed from the age of 0 to 4. Children who have been given the opportunity to effectively use their brain in the first 4 years of their life are more likely to gain higher abilities in different areas in future. With the cooperation from parents, 'healthier' brain habit can be cultivated in children before their brain matures. 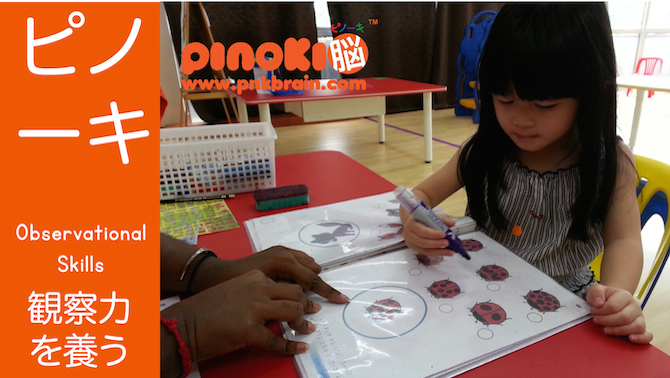 The program uses Pinoki's proprietary method called Photo Reading to cultivate photographic memory in young children. By using Photo Reading, children will be exposed to thousands of high-speed images and words. This forms the foundation for Speed Reading. The program also uses various types of tools from daily life to enrich children's experience in language, intuitive Mathematical thinking, memory, visualisation, concentration, creativity, sense of rhythm, and discipline. 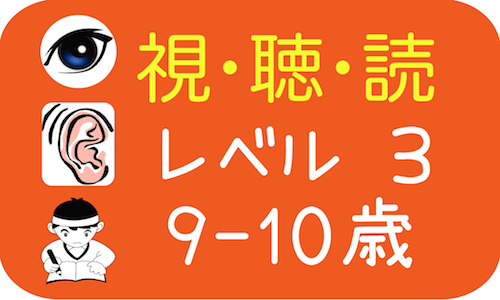 By using high-speed (right-brained), moderate-speed and low-speed (left-brained) exercises, children's learning desire will be gradually induced. Driven by curiosity, children consequently learn through seeing, hearing, smelling, touching, thinking, feeling and solving problems. 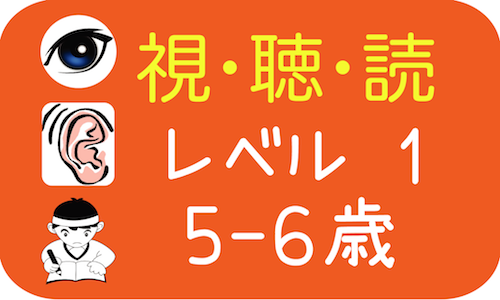 To further increase the desire for learning, Pinoki Brain Training Method implements riddle-based teaching and games that encourage children to guess. The ability to guess and make mistake is momentous because during the first 4 years, children's brains are developing habit for learning. Being able to concentrate, make mistake and do self correction is of utmost importance. The development of right-brain skills is optimal when children's minds are relaxed. 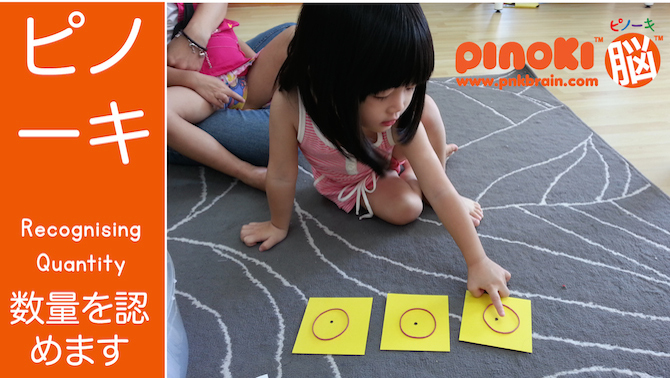 'Play and Learn, Learn and Play' is the core philosophy of Pinoki Brain Training Method. Besides, children learn effectively from role models. The display of diligence, clam and confident self, reading habit, passion, responsibility, honesty and rationality is always a better lesson that any book can offer. A good foundation in both learning habit and learning attitude help children to acquire knowledge with confidence and discipline in the coming years. Brain grows by use. Hence, grab hold of the first 4 years of your child's life. Giving your child more opportunities to use the different areas of his/her brain in the first 4 years equivalent to activating his/her brain. A life-long learning that unleashes the optimal potential of the right and left brain starts here! Some of the skills in Toddlers class are: Matching, sorting, rotational imagery, visual tracking, puzzles, visual spatial memory, linking memory, vocabulary bank, Photo Reading (Pinoki's proprietary method), small motor skills, big motor skills and so on. The Pre-Kindergarten Course focuses on consolidating photographic memory, developing language and number skills. Image Ability: fast recognition of a variety of right-brained and whole-brained images, spot the difference (understanding up and down, left and right), find the odd one out, compare two images, compare three images, matching, sorting of a variety of right-brained and whole-brained images, and photographic memory through speed training. Mental Imagery: stacking blocks, mirrored image and rotational imagery. Visual Memory: image-based sequential memory, blocks with different shapes, numbers, letters, multi-sensorial input and so on. Auditory Memory: seeing sounds, recitation, speech memory through the use of directions and colours. Language: photographic phonetic reading, linking memory and psychomotor training (as preparation for writing). Number and Quantity: big and small, tall and short, heavy and light, more or less, recognising quantity from 1-10, add up to 3, add up to 5, add up to 10, recognising quantity from 1-15, addition within 15, subtraction within 15, multiplication within 10, and division within 10. Pattern Recognition: puzzles and blocks, reconstruction of a variety of patterns, matching of a variety of image patterns with increasing difficulty, sorting of very closely related image patterns and so on. IQ Tests and Reasoning Skills: maze, shadow image, rotational imagery, complete the image, compare height and weight, balance, patterning, pairing objects with the same features and/or functions and so on. Creativity Training: origami, flashcards, Mental Note, speech and drama, rhythm, musical reading and so on. Physical Training: jumping, throwing, fetching, kicking, crawling, rolling, squeezing, grasping, buttoning, scribbling, tip-toeing, catching, left-right hand activation, balancing, hand-eye coordination, small motor skills, rhythmic play, space jumping, imitating physical movements and so on.